The development is "yet another signal to Donald Trump and the rest of the world that, despite their worst laid plans, the era of fossil fuels is coming to a close." In another signal that "the era of fossil fuels is coming to a close," Europe's biggest bank, HSBC, announced Friday that it will no l... moreThe development is "yet another signal to Donald Trump and the rest of the world that, despite their worst laid plans, the era of fossil fuels is coming to a close." In another signal that "the era of fossil fuels is coming to a close," Europe's biggest bank, HSBC, announced Friday that it will no longer fund oil or gas projects in the Arctic, tar sands projects, or most coal projects. The development is "yet another signal to Donald Trump and the rest of the world that, despite their worst laid plans, the era of fossil fuels is coming to a close." The move was cheered by climate campaigners on social media, who said, "This is huge," and called it "incredible news." According to Daniel Klier, group head of strategy and global head of sustainable finance at the financial giant, the bank recognizes "the need to reduce emissions rapidly to achieve the target set in the 2015 Paris Agreement to limit global temperatures rises to well below 2°C and our responsibility to support the communities in which we operate." The announcement, said Kelly Martin, director of Sierra Club's Beyond Dirty Fuels Campaign, "is an important step forward for Europe's largest bank, and yet another signal to Donald Trump and the rest of the world that, despite their worst laid plans, the era of fossil fuels is coming to a close. There is no future in Arctic fossil fuel operations. There is no future in tar sands. And there is no future in coal." According to Keith Stewart, senior energy strategist at Greenpeace Canada, "Financial institutions around the world are seeing the reputational and material risks these pipelines pose in a post-Paris world where respecting Indigenous rights and the need to transition off of fossil fuels is smart business and not just good public relations." Canadian Prime Minister Justin Trudeau, who appears to be ready to subsidize the widely opposed Trans Mountain tar sands pipeline, should take note of the shift by HSBC, added Stewart. "Before deciding to write a check to Kinder Morgan, Justin Trudeau should ask himself if he wants to rush in where HSBC fears to tread," he said. While HSBC's announcement, as well as similar actions taken by other banks like BNP Paribas, should be lauded, the institutions need to go further, added Sierra Club's Martin. She said that "it cannot be overstated how critical it is that HSBC and the world's other major banks immediately end financing for all fossil fuel projects around the world. Institutions should no longer continue financing any fossil fuel projects when cheaper, cleaner, more reliable energy solutions like wind and solar are readily available." 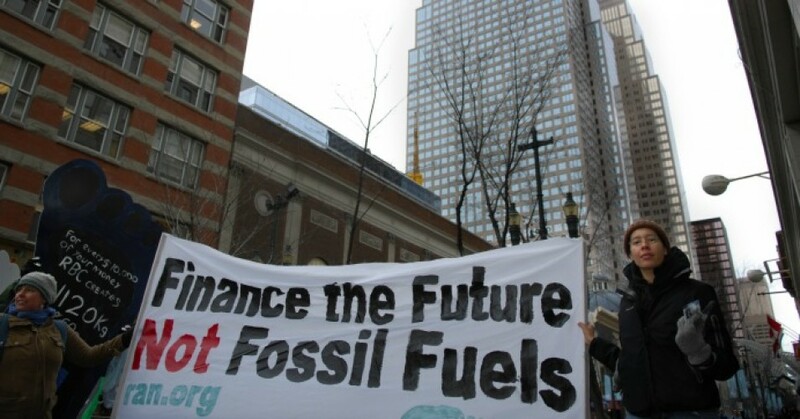 The news come a month after a report showed that banks are continuing to bankroll the climate crisis by funneling $115 billion into tar sands, offshore oil drilling, and coal mining projects. That report, entitled "Banking on Climate Change" and endorsed by dozens of environmental groups, ranked HSBC the seventh worst in the world for the financing of "extreme fossil fuels." It also found that from 2016 to 2017—"Even as the impacts of climate change become increasingly apparent"—it made a $2.6 billion increase in such financing. 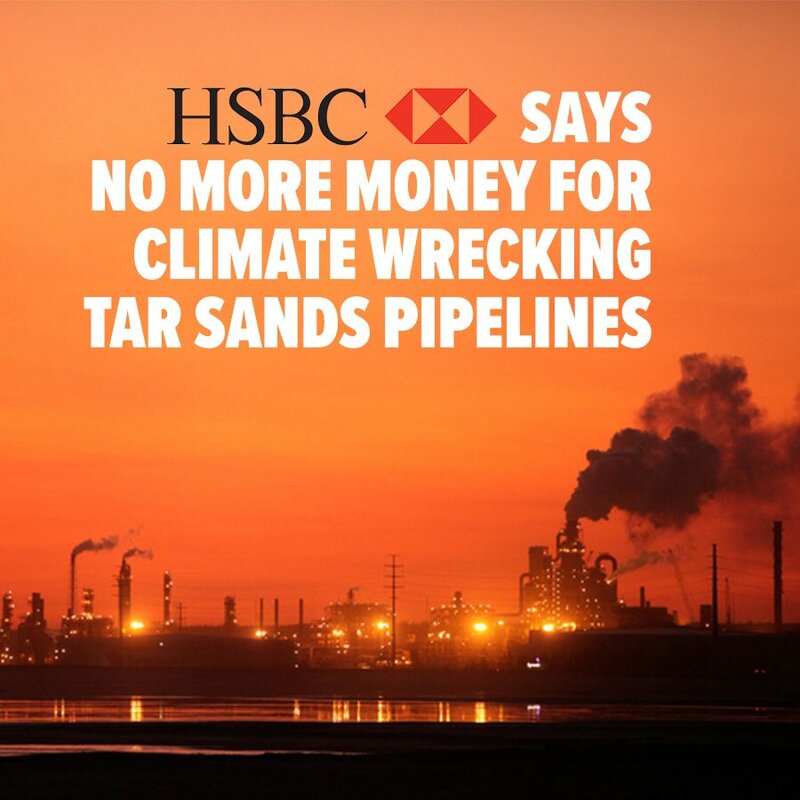 Would you recommend 'Incredible' News as Banking Giant HSBC Ditches New Coal, Tar Sands, and Offshore Arctic Drilling Projects to a friend? Your Review on 'Incredible' News as Banking Giant HSBC Ditches New Coal, Tar Sands, and Offshore Arctic Drilling Projects has been successfully submitted.